The Creve Coeur City Council could hear an ordinance as soon as next week that would move to extend the city’s use of “Red Light” cameras. As a lawyer, the MOST common question I am asked from friends and family is whether red light camera violations are enforceable. The answer usually depends on where you got the ticket. A red light camera is a traffic enforcement camera that captures an image of a vehicle which has entered an intersection against a red traffic light. By automatically photographing vehicles that run red lights, the camera produces evidence that assists authorities in their enforcement of traffic laws. Generally the camera is triggered when a vehicle enters the intersection after the traffic light has turned red. Typically, a law enforcement official will review the photographic evidence and determine whether a violation occurred. A citation is then usually mailed to the owner of the vehicle found to be in violation of the law. 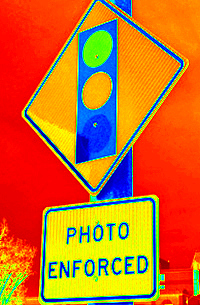 On August 29, 2012, red light cameras survived yet another class-action lawsuit in Missouri. A Jefferson County judge rejected a suit that aimed to prohibit the use of red light cameras in Arnold, which became the first Missouri city to deploy the cameras in August 2005. With this Arnold ruling, attorneys with the Simon Law Firm of St. Louis have now lost four decisions that sought to prohibit use of the cameras in Kansas City, Arnold, Florissant and Creve Coeur. Despite at least a half-dozen legal challenges statewide, only two rulings have gone in favor of those opposed to the cameras. In February 2012, a St. Louis Circuit Court judge ruled the city ordinance void. (That decision is under appeal.) In his ruling February 17, Judge Mark Neill upheld a partial judgment he made last May that found the city improperly enacted its red-light camera ordinance without enabling legislation from the Missouri legislature. And in 2010 the Missouri Supreme Court held against the way Springfield enforced its citations. ← Funkenbusch Attends Art Auction Charity Event to Benefit Non-Profit PayBack, Inc.